Born and raised in the greater Seattle, WA. Area, Jeff relocated his wife Mona and their two daughters to No. Carolina in 1995. As a Life Member of the NRA since he was 12 years of age, Jeff grew up an avid pheasant hunter and ‘Gunner’ for local and state Field Trials. The passion for the shooting sports has always been a part of his life, but until recently, never his occupation. Jeff has spent the bulk of his professional career in the Racing and Performance Industry as both a National Brand Manager and Operations Manager for highly respected industry suppliers of products and services. 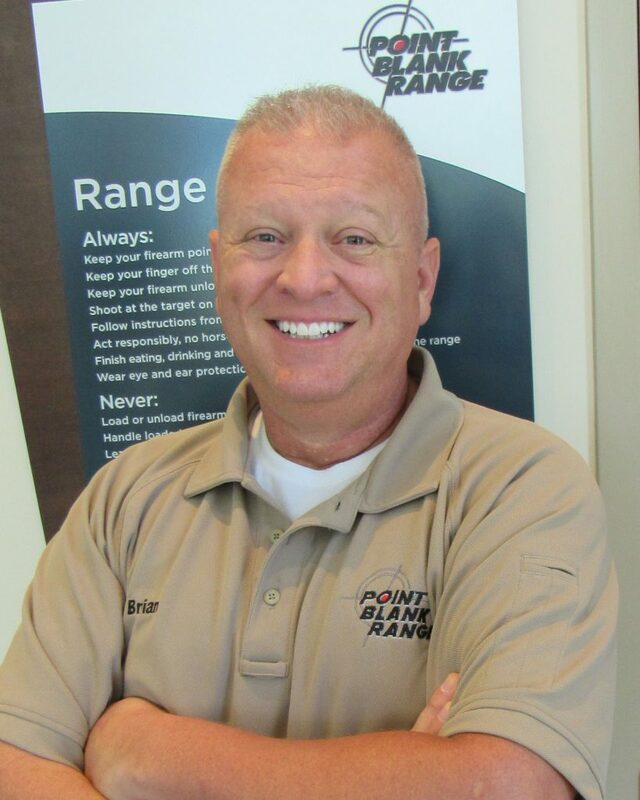 He also conducted product training to some of the largest parts distributors throughout the U.S. As a former Patriot Gun Club member at Point Blank, Jeff decided he wanted to utilize his sales and training skills to help others to understand situational awareness and to empower them with the skills and confidence to protect themselves and loved ones should the need arise. His attention to detail and communication skills are some of what make Jeff one of our better RSO’s and Conceal Carry Instructors. 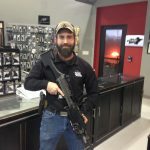 In addition to his training of others, Jeff continues to study and enhance his knowledge and skills from some of the leaders in firearms instruction. 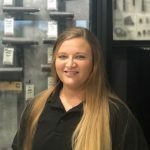 Being a second generation female firearms instructor, Aaren is passionate about training and working with women and children. She believes everyone, male and female, should have the knowledge to safely and justifiably protect themselves and their families. 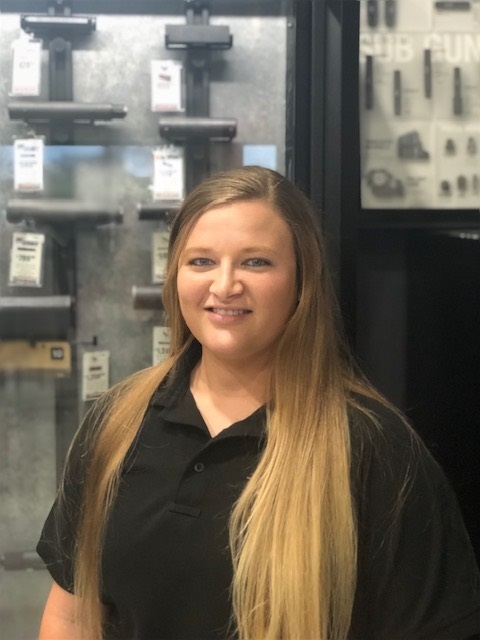 Aaren has been an instructor and involved in the shooting sports industry for almost 10 years, creating and instructing multiple classes, as well as teaching the NC Concealed Carry Handgun Course. Aaren teaches the PBR Ladies Only NC Concealed Carry Handgun Course and is available for one-on-one instruction. Hailing from Olathe, Kansas and the United States Marine Corps, Cory now calls Mooresville, NC home. 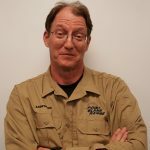 A multi-awarded Expert Rifleman in the Marine Corps, Cory served two years in Okinawa Japan where he was trained in Jungle Warfare. During his deployment as a heavy equipment mechanic in the middle east, Cory was also tasked as a Platoon Sergeant and M249 SAW Gunner on convoy security for the II MEF in OIF -1 (Kuwait & southern Iraq). Later as a reservist Cory developed Patrol Ambush Response Exercises (PARX) and assisted with CQB training. 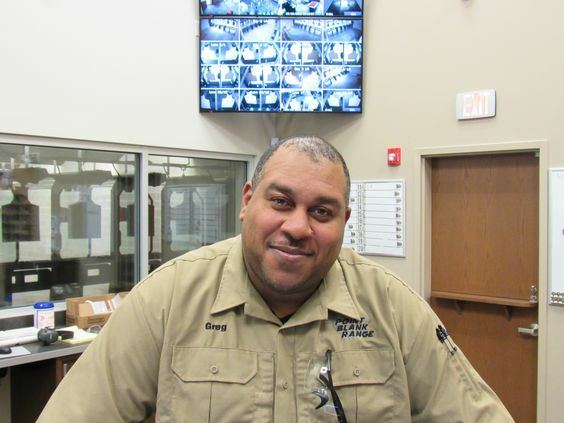 Cory has a keen sense of situational environment awareness and is one of our best Range Safety Officers. We are anxious to pair Cory with students seeking instruction and application of pistol and rifle shooting. 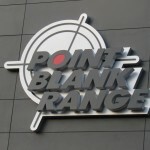 If you would like to meet Cory, come by Point Blank Range and introduce yourself. Originally from Los Angeles, Bob moved to North Carolina after spending 25 years as a Police Officer and Detective in the Los Angeles Metropolitan area. 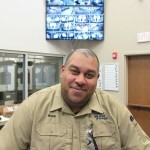 As a detective assigned to the Violent Crimes Unit, Bob’s experience investigating homicides, aggravated assaults, robberies, and other gun-related crimes and incidents, brings a unique perspective to the training staff. Bob also served as a police rangemaster, and was a member of the initial firearms instructor team that trained and qualified officers to carry the M-16 rifle in the aftermath of the infamous North Hollywood bank robbery. 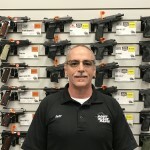 Prior to becoming a California police officer, Bob served in the United States Army as a Military Policeman and Military Police Investigator, and received specialized marksmanship training from the XVIII Airborne Corps Pistol Team and the U.S. Army Marksmanship Training Unit. While Bob enjoys instructing people of all skill levels, his unassuming, patient demeanor is much appreciated by new and women shooters. Melanie Allmond is a former NC Law Enforcement Officer. She is still very active in the LE & Protective Services community and was awarded four commendations during her service. Melanie is a certified NC DOJ Concealed Carry Instructor, NC Private Protective Services Instructor for Pistol/Carbine/Shotgun, NRA Training Counselor, NRA Refuse To Be A Victim Instructor, NRA Chief Range Safety Officer, and ASP Tactical Baton & Handcuffing Instructor. 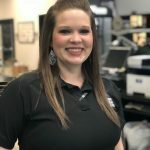 She teaches a variety of civilian pistol classes ranging from beginner to advanced as well as multiple platforms for Security and Law Enforcement personnel. 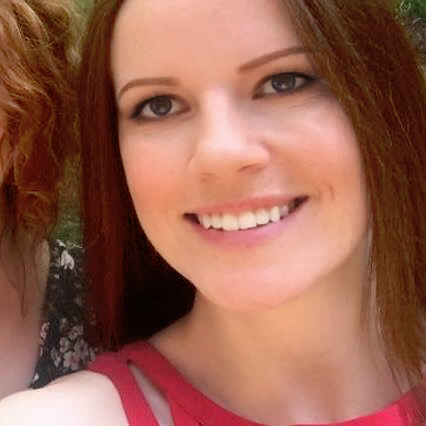 Even though Melanie has been an avid shooter since childhood, she also enjoys playing piano, drawing, and competitive equestrian sports (stadium jumping). Samantha grew up hunting, shooting and training dogs. She has been working at Point Blank Range for 2 years now. She and her boyfriend have dogs, cows, horses, a donkey, a goat and a sheep! Her hobbies include hunting, fishing, training dogs, cows, etc. ….anything outdoors! When not working at Point Blank Range, you can find her training dogs or working cattle. Growing up on a farm in Mooresville, NC, Drew spent most of his childhood days riding horses, stacking hay, and playing baseball. He then enlisted in the United States Marine Corps where he proudly served four (4) years of active duty including three (3) tours of duty to Iraq, MND South East, Kharma and Ramadi. Before picking up the rank of Sergeant (E-5) in just three and a half years, Drew attended a Coaches Course, Demolition School, and Scout Sniper Training. While in the United States Marine Corps., Drew served as a team leader for scout sniper team, “Cherokee 5”, Section Leader for Mobile Assault Platoon 5, and Range Coach for 2nd Battalion 8th Marines. During his service in the Marine Corps, Drew was awarded the Purple Heart, Navy Commendation Medal w/ Valor, and two Navy/Marine Corps Achievement Medals. 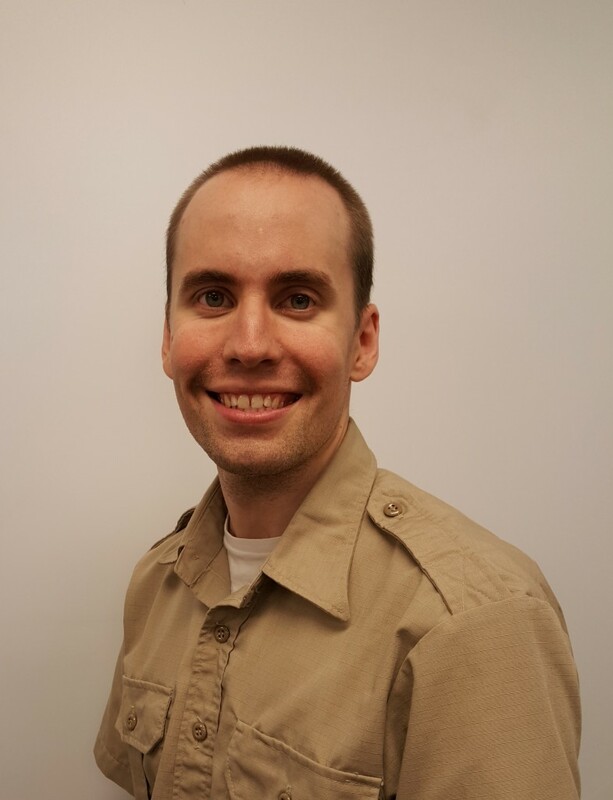 Daniel brings almost 10 years of firearms training experience to Point Blank Range. One of his mentors is Larry Vickers whom he continues to train with and has learned a great deal from. 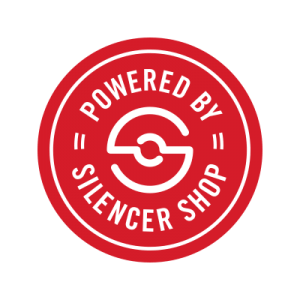 Among our vast array of training courses, Daniel has made his Defensive Pistol series one of the most successful here at Point Blank Range. Daniel also takes a unique approach to firearms training. He has developed performance based training courses that move at the pace of each individual shooter, thus increasing not only a student’s physical skill set but also increasing their ability to learn in a very rapid fashion. His courses are geared toward the shooter, not a specific curriculum which make his courses so highly recommended for shooters of all levels. Daniel will make you a better shooter regardless of skill level. Come train with Daniel you’ll be glad you did! Richard Pickard is a Retired Fire Captain from the Charlotte Fire Department after a long career of saving lives from 1986-2011. 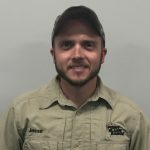 He’s also an avid competitive shooter and was a North Carolina State Pistol Team member during the years of 2004-2005-2006-2007-2010-2011. Richard participates as a Charlotte Rifle and Pistol Club Member 2004 –Present, and with the National Champions North Carolina State Team 2010 and 2011 as Team Captain. For the NRA/USA Pistol Team, he was a member during 2010 and 2011 with Distinguished Pistol Shot Badge #1492. 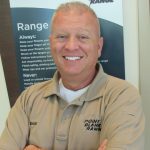 Among other credentials, he is a Master Indoor Range Safety Officer at CRPC, NRA Pistol Instructor, and NRA Range Safety Officer. If you prefer private instruction, Richard is always willing to work with our guests to help them become safer, more accurate, and overall more accomplished shooters. Come train with Richard. You’ll be glad you did! 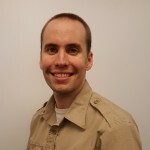 Brian H. Zins, GySgt USMC Ret. Undoubtedly the most accomplished competitor in NRA Precision Pistol Competiton, Former Marine Gunnery Sergeant Brian H. Zins retired from active duty in the Marine Corps in May of 2008. It was discovered early in his Marine Corps career he had uncanny skill with the service pistol when going through Military Police Training at Lackland Air Force Base, San Antonio, Texas in 1988. Sgt. Gunther, Military Police School Pistol Instructor, trained Zins and discovered he possessed a unique skill. Later that year when sent to re-qualify on the rifle range at Camp Pendleton he caught the eye of his Primary Marksmanship Instructor from Headquarters and Service Battalion, 2<sup>nd</sup> FSSG, LCpl Matt Briggs. Briggs asked if he would be interested in competing in the Western Division Matches; not really aware there was such a thing, he agreed. In 1989 he competed in his first Division Match. He fell short of placing in the pistol medal bracket by two places. This created a hunger in him that proved to be valuable when he returned the following year to take a bronze medal at the Western Division Matches and silver medal at the Marine Corps Championships at Camp Lejeune, NC. 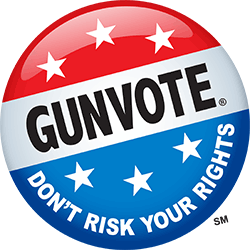 He spent the summer of 1990 at Marine Corps Base Quantico as part of the Marine Corps Pistol Team. He was able to refine his shooting skills under the watchful eyes of Capt. Stephen Belke, MSgt Mitch Reed USMC (Ret.) and most notably MSgt Andy Moody USMC (Ret.) This was the beginning of a long competitive shooting career for him. Later in 1991 Zins went on to earn his Distinguished Pistol Shot Badge and was told he was the first Marine Lance Corporal to do so. 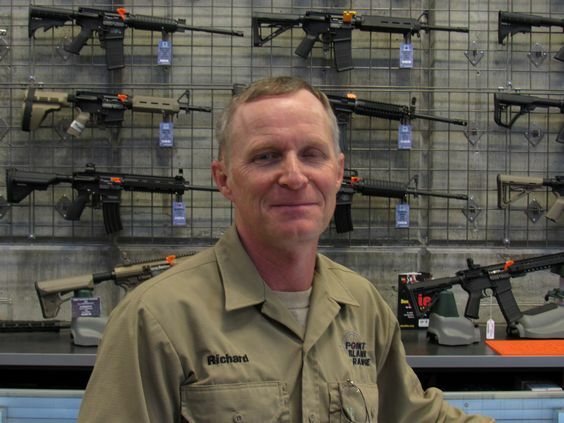 Throughout his career as a Military Policeman, Marine Recruiter, Doctrine Developer for the Marksmanship Program Management Section at WTBn in Quantico, VA, competitor/instructor for the Marine Corps Shooting Team and Staff Non-commissioned Officer-in-Charge Marine Corps Pistol Team, Zins claimed copious accolades for his performance as a competitive pistol shooter. 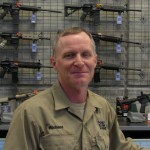 Some of his accomplishments include the Lauchheimer winner at the 1995 Marine Corps Championship, Several State and Regional Championships, member of the 2004 US Pistol Team, Service Pistol National Champion, Presidents 100 Champion, McMillan Trophy winner at the CMP National Matches, Distinguished Rifle Badge, twelve time NRA National Pistol Champion and current holder of over 30 NRA Precision Pistol National Records. Zins’ military awards include (6) Marine Corps Good Conduct Medals, (5) Navy/Marine Corps Achievement Medals, (1) Navy Marine Corps Commendation Medal and (1) Meritorious Service Medal. Brian and his Wife Mary Jo have 5 children combined and their little dog, Coco.